Try out the X-CONFIG CIM Starter Edition with the free 30-day trial license! After the 30 days have run out, you have the possibility to purchase the product for only 69 USD per month per shop domain. The fastest way to connect complexity and simplicity! 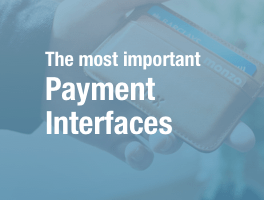 Are your customers able to configure your products? Are they available in different colors or measurements and you want to display this in a simple manner? Then the X-CONFIG CIM is the right product for you! Try out the X-CONFIG CIM Starter Edition now at no charge for 30 days! Regardless of which mobile operating system you are using, the X-CONFIG CIM Starter Edition remains responsive. The configurator is based on HTML5, CSS3 and the Framework jQuery UI. If you would like another design, you can chose one of the CSS-files which we provide. The protection of data privacy is paramount to us as well! Rest assured that we only work with certified hosts with the highest safety criteria! Add up to 2.500 article variants to your Shopware shop, with any number of shop articles. Easy administration and operation for you in the backend, as well as for your customers in the frontend. 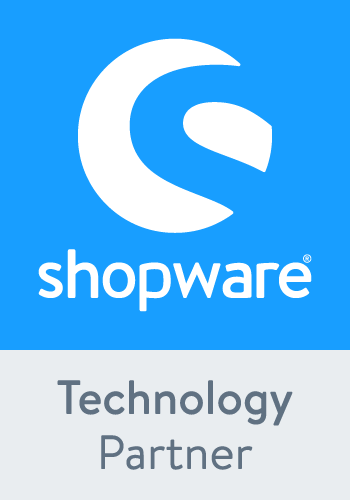 Fast link to your Shopware store - download it, install it & start configuring! High performance: only a single shop article is created in your Shopware backend! The rest is saved in the X-CIM backend via cloud! Article variants can be individually deactivated and activated. The X-CIM backend and shop configurator are available in both German and English. You can deposit your data for the configurator in our self-developed X-CIM backend. Specific article logic can be adjusted and factored in. Within the X-CIM backend, you can easily switch between established articles and edit them as the need arises. Deposit certain article information in the X-Config CIM Starter Edition to embed them into the purchasing process. You can register the stock ground, parts list, item number and other information. Avoid situations in which certain articles cannot be connected to a diverse variant by establishing configuration rules! Different prices for specific product combinations can be established as well. Define your own price matrix and set exact configuration rules for your products! With the help of exemptions the configuration can separate article variants that do not belong together. Thus, you can add (in percentage or additive) additional charges to individual configuration values. You and your customer can maintain an overview at all times! There is a step-by-step guide in the backend as well as in the frontend of the X-Config CIM Starter Edition. You and your customer can constantly keep track of the price. Individual configuration steps and values can be altered in the CIM-Backend at will and be adapted to your needs. Are 2.500 article variants in the X-CONFIG CIM Starter Edition not enough? Don’t worry, our other editions contain more variations and more features! To keep a clear overview, the X-CONFIG CIM Starter Edition provides the possibility to name each configuration step individually! The insertion of a separate text or image file is possible as well. The options can be displayed visually, for example through select or check boxes or an image selection. This poses no problem for X-Config! Articles can be visualized via static or dynamic product image or through a static or dynamic 3D article, and even Augmented Reality or Virtual Reality are supported! After a successful configuration, X-Config shows you a roundup of your configuration right under the selected criteria. Afterwards, the order can be placed into the shopping basket. All of your configuration parameters will be shown in the checkout process. X-Config will at all times show the current price of the selected article variant. The price will also be shown in the checkout process. Here we have compiled several videos to precisely show you the benefits of our configuration software. After you have purchased the X-CONFIG CIM Starter Edition in your shop system, you will receive an order confirmation. After the information has been provided you will shortly receive a private license key with which you can test the X-CONFIG CIM Starter Edition at no charge for 30 days. After the 30-day trial phase has ended, you will receive an automated e-mail with all the information you need to continue using X-Config. Don’t worry, your configurations will not be deleted during this! Version 1.1 is using new and interesting features! Please contact our support if you want to install the update. The backend system will require an update as well to function as best as possible. The plugin can be acquired, downloaded and installed through the Shopware Community Store. Afterwards you should contact us at licencesw@xioni.ag Click here to activate your license for your shop domain. After you received your license you need to type in your key (also your domain), in the plugin settings, in the Shopware plugin manager. Afterwards clear your shop cache and refresh the backend. To create a configuration for your article, open the article in the Shopware backend and press “open in X-Backend”-button at the bottom of the article window. Now you can create a configuration in the X-Config-Backend. To get your configuration visible (in the shop frontend), you need to check the “X-Config-article” checkbox in the “free text field”. After that you need to save the article. if you don’t want to use the configuration for your article any longer, just uncheck the article as “X-Config-article”. If you want to import your existing data please contact us at import@xioni.li with your project data. Use Shopping Worlds presets to create diverse, atmospheric environments in your online shop. The EAN number displayed in the article on the item details page, including schema.org data. Plugin for connecting the Apto.ONE product configurator. Get our fancy mouseover effects for the category-teaser emotion element in your Online Shop! Gravity is YOUR multipurpose Shopware 5 Theme, which you can individualize easily. Sell complex products easily in your webshop. Allows you to select a configurator-type for each configurator-group, e.g. "Image" or "Selection"
The product designer lets your customers create unique designs for the products you sell. Combine multiple items into a set with stock management. Combine multiple items into a set with automatic inventory updates.